WIGO offers portable broadband wireless technology that enables unprecedented level of high-speed services! WIGO is delivered to you via a portable and a small size device that is free from phone and electrical wire connections! Neither electrical wire nor phone cable are need for the PCMCIA card in order for it to be operational. Traffic Volume Billing 1.5 GB/month shared between upload and download. Unlimited Traffic Daily from 12 Midnight till 8AM 2.5 GBytes/month shared between upload and download. 4.2 GBytes/month shared between upload and download. 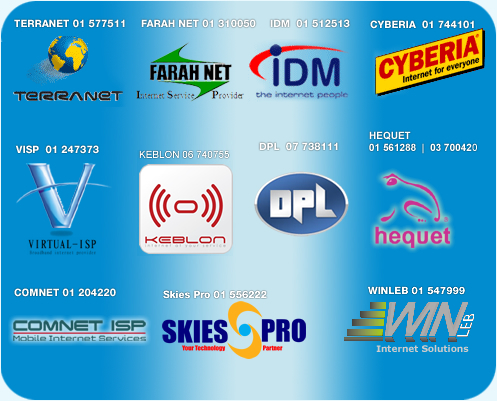 Currently WIGO is available from the following ISPs. First level support/ troubleshooting are done by your chosen ISP. Therefore in case you encounter any problem with WIGO performance kindly contact your ISP and their support team will coordinate with Cable One’s technical team for a quick intervention when required. To connect your WIGO modem to a Windows PC, your computer must be using one of the following supported operating systems. All the software you require to install the modem using either a USB, PPPoE or PCMCIA connection is provided on the WIGO Client Software Windows Installation CD. The windows installation software uses an Install Wizard that will guide you through the installation process. You will be asked to make selections on some of the installation screens. Please be sure that your computer meets the minimum requirements before you begin the installation. Insert the CD into the CD-ROM drive on your computer. How to connect your WIGO Modem to an Apple MAC with a PPPoE interface (connections via USB and PCMCIA are not directly supported by WIGO although drivers may be available elsewhere on the internet). To connect your WIGO modem to an Apple Mac computer, you should not need any further software to be installed as the connection can be made using the standard Apple Mac Ethernet software with the proprietary PPPoE cable. Ensure the modem has been pre-provisioned with the Network access username & password. The reason behind this is the modem has 2-levels of authentication - Network and ISP. If the connection was via a USB cable with the standard WIGO dialer software you would see the two tabs on the WIGO windows application where you enter the "Network" & "ISP" password. However, with a PPPoE client (Mac, Router, Linux) you only have the option to enter the "ISP" username and password, therefore for the Network side authentication the information needs to be pre-provisioned and stored in the modem memory. If the username/passwords are accepted, you will need to connect the modem to Mac with the modem Ethernet cable. Turn the modem on, then off and then on again (the modem will automatically detect it needs to switch to Ethernet mode and use the PPPoE protocol as opposed to USB protocol). - On the PPPoE tab select "connect using PPPoE", "Save Password"
How to connect your WIGO Modem to a Linux PC with a PPPoE interface (connections via USB and PCMCIA are not directly supported by WIGO although drivers may be available elsewhere on the internet). To connect your WIGO modem to a Linux PC (based on using Red Hat 9), you should not need any further software as the connection can be made via PPPoE, which usually means you can use the in-built Linux PC Ethernet client software. To configure the modem so it sends the appropriate network authentication information. If the connection was via a USB cable with the standard WIGO dialer software you would see the two tabs on the WIGO windows application where you enter the "Network" & "ISP" password. However, with a PPPoE client (Linux, Mac, Router) you only have the option to enter the "ISP" username and password, therefore for the Network side authentication the information needs to be pre-provisioned and stored in the modem memory. If the username/passwords are accepted, you will need to connect the modem to a Linux PC with the modem Ethernet cable. Turn the modem on, then off and then on again (the modem will automatically detect it needs to switch to Ethernet mode and use the PPPoE protocol as opposed to USB protocol). Configure the Linux PC Built in Ethernet connection. Using Red Hat 9 you will need to configure the Wireless Broadband Modem as an adsl modem. Red Hat 9 ships a command line/script utility as part of the distribution. Use the adsl-setup shell script which will prompt you for various pieces of information and sets up an /etc/sysconfig/network-scripts/ifcfg-ppp0 configuration script for the adsl-start and adsl-stop scripts. Once adsl-setup has been run, it sets up the modem, pppd and sets the optimal MTU etc. as well. To connect a session, use the adsl-start scripts. If all goes well you should see a few dots and "Connected!" To disconnect the session, use the adsl-stop scripts. If the connection fails you may want to open up the file /var/log/messages with a text editor and have a look at the error messages. You can try searching the internet with the errors text to see if someone has had a similar problem. If you're connected but you can't seem to load any web pages etc, open up the file /etc/resolv.conf with a text editor and make sure you have your ISP's name servers properly listed.